THERE'S NOTHING TO UNLIKE BOUT IT. 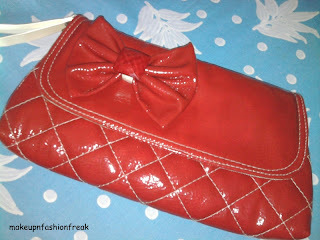 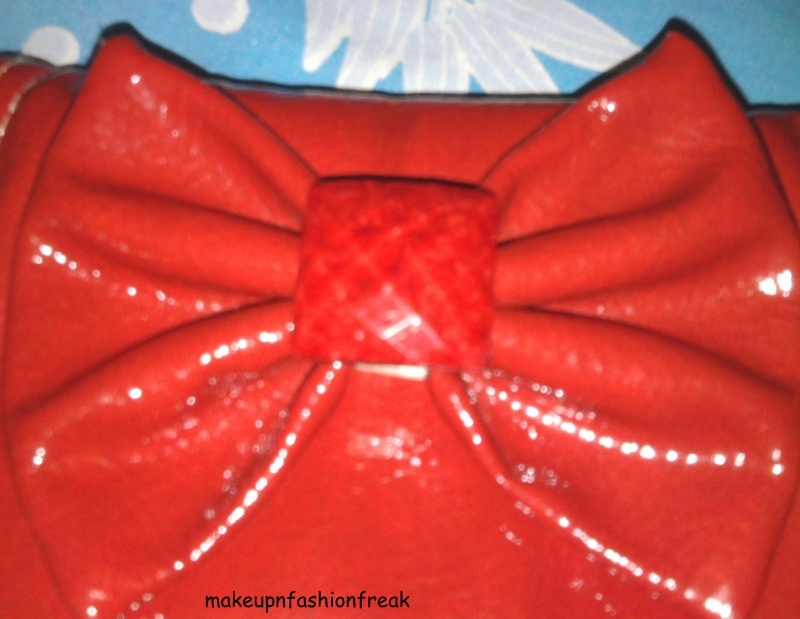 The next thing is this cute clutch with a bow which i had got from DARJEELING..Its also really spacious..with a zip inside..
btw.. didnt u find the bow cute?? 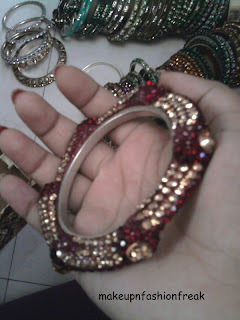 SUM OF THE RED BANGLES AND BRACELETS DAT I HAVE.. 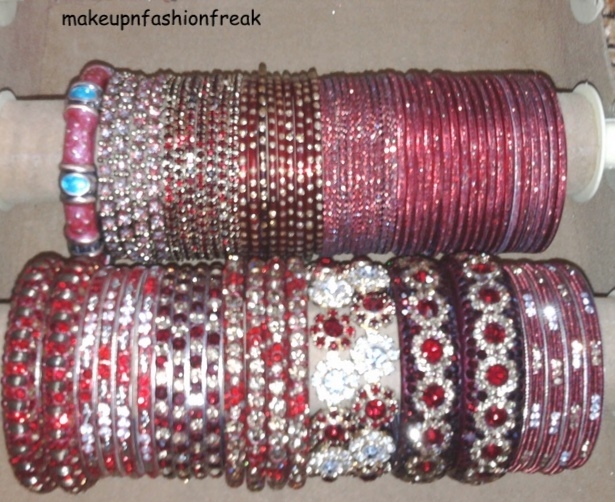 WOWWWW..I LOVE UR BANGLES....I TOO HAVE QUITE A COLLECTION COZ I JUS LOVE BANGLES BT NT SOO MUCH RED THO..
ty for the comment..got a huge collection of bangles thgh i dont wear them much. my MIL as in mother in law had gifted all these to me on ma marriage. 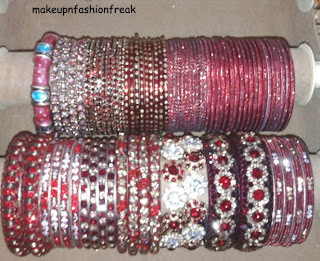 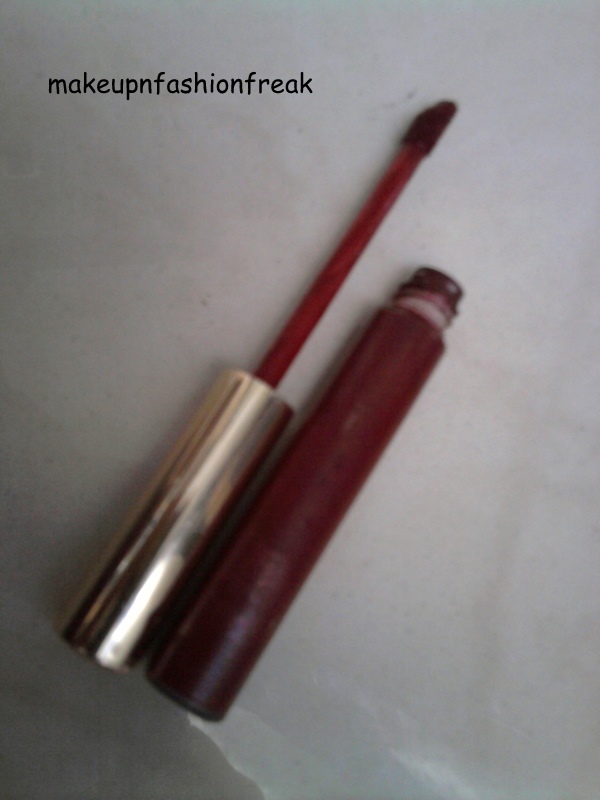 wow..your bangles are sooo adorable.love your blog dear. 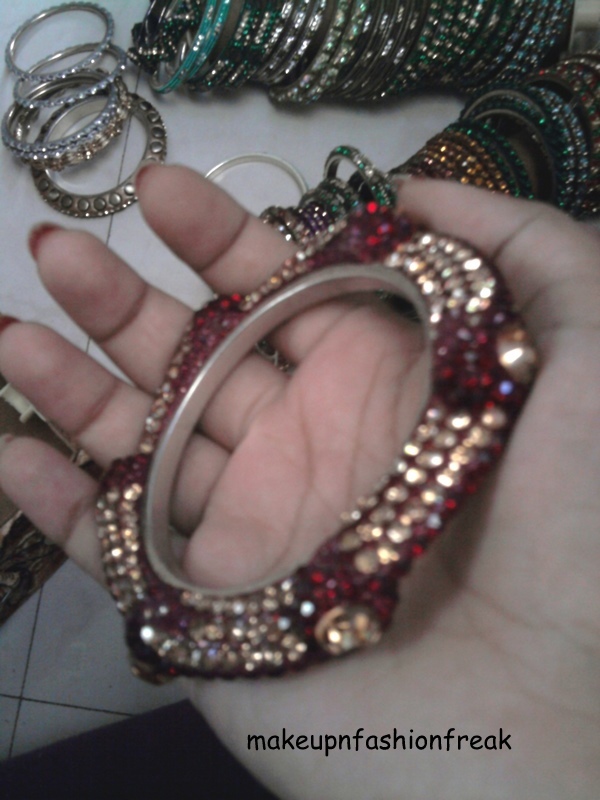 ty rakshanda..n btw thnx for followin me..
hi rads..its jus the normal one...yup saw ur pics n was jus wondering whether it was sum odr one.. ty ya..
lovely bangles though IF i get married i'm not gonna go near a sindoor cause not into those kinda things XD.